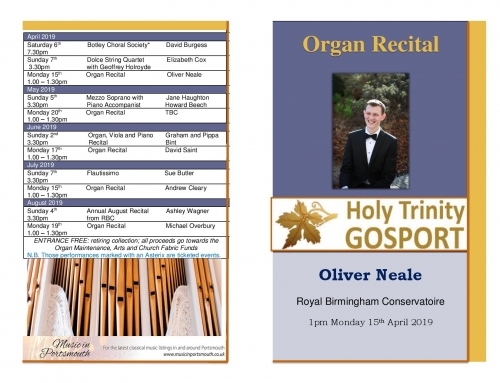 “Every moment was a bonus!’ exclaimed one delighted recital-goer as he was leaving Holy Trinity this afternoon. 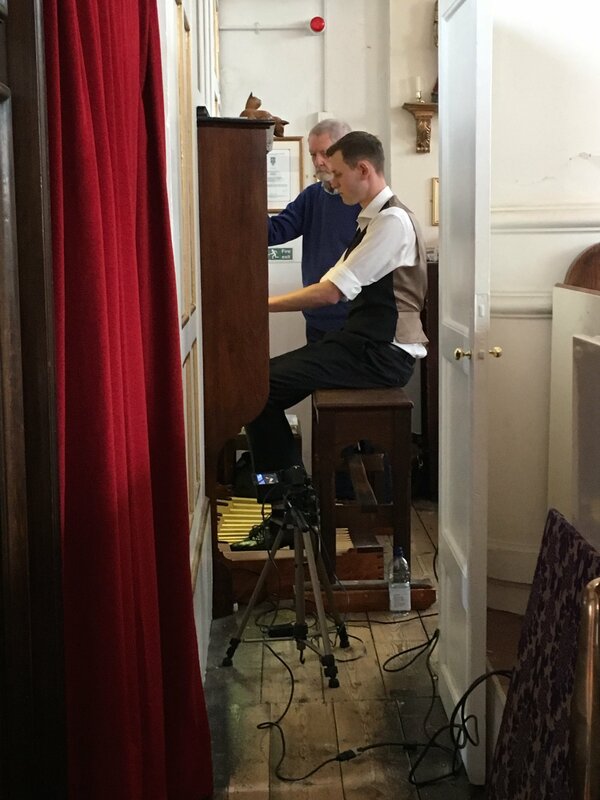 Our recitals are always superb but this one was a show-stopper! 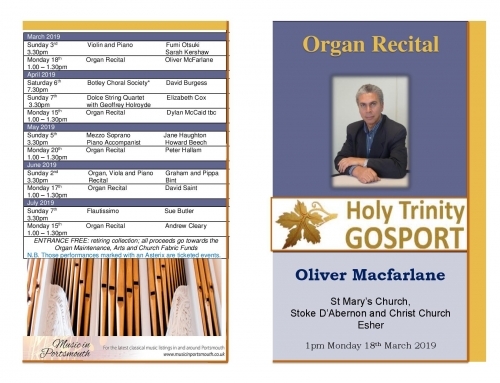 We are hugely grateful to Oliver Neale for bringing us his chosen programme of very challenging music; it was a joy to listen to him play and to watch his fingers, fly, crawl and dance across the keyboards. The programme gave us a wealth of musical experiences starting with Mendelssohn, which was magnificent: its abundance of dramatic notes repeatedly raised our anticipation of where it would take us next. Contrastingly Alain’s ‘Duxieme Fantaisie’ with its discordant notes and repeated flurries was darkly sombre. 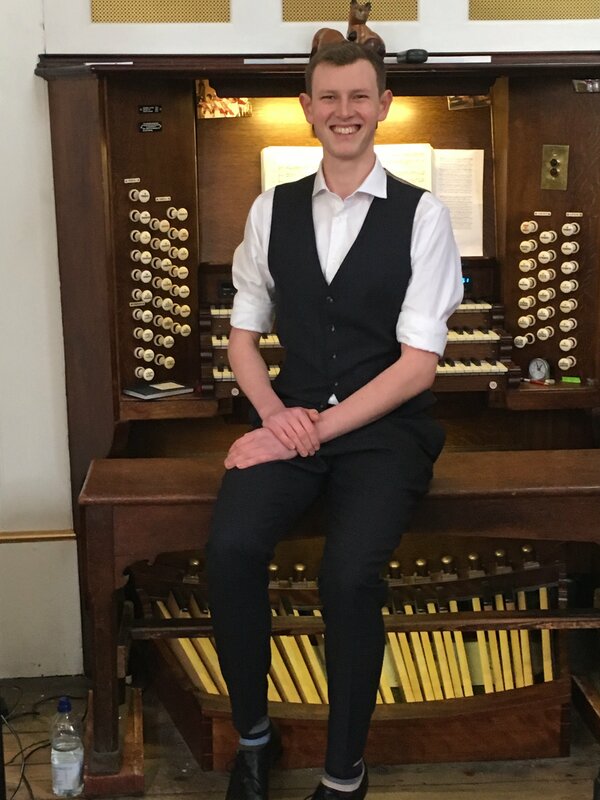 The Bach was simply beautiful: soft and reflective; and Oliver finished the afternoon with a magnificent rehearsal of his next exam piece, Durufle’s ‘Veni Creator’, where he performed our very first organ with voice . 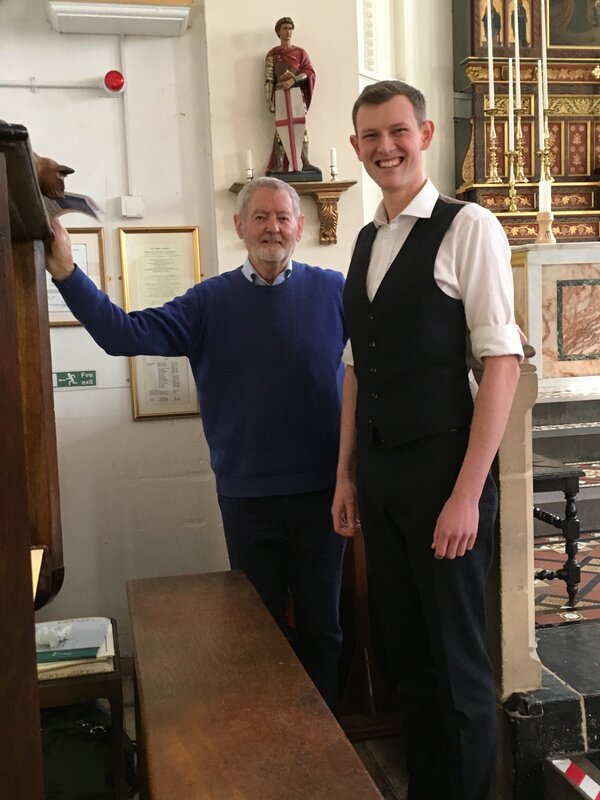 . . to explain, Oliver has a rich bass-baritone voice, which he used to great effect in the plainsong introductions, balancing and complementing the organ as his voice was carried across our wonderful acoustics. Oliver is clearly going places . . . and we wish him every success on his exciting journey! BTW – he will return; so if you missed him this time, you will have another chance . . . watch this space!